Loretta Avent has had an interesting and challenging career -from the White House to Phoenix – but she has never fought as hard as she has in the past few years for a group of poor American Indian high school students. All Loretta Avent wanted in the fall of 2003 was for her granddaughter, Brittany, to go to a good high school with “positive black role models.” She found the perfect fit near her Ahwatukee home. She had no idea her life’s work for civil rights and justice would come to a head at this beautiful school, and that she’d risk everything for nine poor American Indian children. Desert Vista High School, located in the Ahwatukee Foothills area of Phoenix, is not only the newest high school in the Tempe Union High School District, but perhaps the best. Every year, close to a dozen seniors earn perfect SAT scores, the dropout rate is low and the college-bound rate is extremely high. Its athletic teams are the pride of the area. This is where engineers from Intel and other high-tech firms send their children. Most interesting to Loretta, the school was then headed by a black man, principal Joe McDonald, and black people held several other administrative and teaching positions. If parents were looking for role models of color, Desert Vista was their destination. But Loretta and her husband, Jacques, a former assistant to the city manager of Phoenix, lived outside the boundary lines of Desert Vista. So Loretta used the one loophole that would let Brittany enroll: Children of school employees automatically are accepted. So Loretta got a job as a school security guard. She started at $10 an hour, which eventually rose to $10.10 an hour. And there would be nothing remarkable about a doting grandmother getting a job to help her granddaughter, except for who this grandmother is and what happened next. Loretta came to her security guard job fresh from the White House. Under President Bill Clinton, she was a deputy assistant and White House liaison to the American Indian community and one of the record numbers of black people Clinton appointed. The Phoenix Business Journal credited her with being one of the Arizona contacts that prompted President Clinton to visit the Valley in June 1999. She is not only a friend of Bill’s but a friend of Hillary’s, too. Hillary, who calls Loretta her “friend from Arizona,” even made a special trip to Loretta’s home to “hang out” in early 2004. Long before her White House stint, however, Loretta was a follower of Martin Luther King Jr. and worked for Reverend Jesse Jackson’s 1988 presidential bid. And there’s a third thing her friends say is very predictable about Loretta: If she sees injustice, if she sees prejudice and discrimination, she attacks like a mama lion. It’s like it’s in her DNA and she can’t help herself. So far, a federal judge has sided with the district, summarily dismissing Loretta’s lawsuit in May 2008. She has appealed to the Ninth Circuit Court of Appeals, and attorneys on both sides appear confident their clients will prevail: School district attorney Georgia Staton says the evidence is clear that the district did nothing wrong; Loretta’s attorney, Bill Hobson, says the evidence is clear that the district illegally fired Loretta for her advocacy. “This isn’t about me,” Loretta says. “It’s about those nine kids from Lone Butte. For me, it’s like the Little Rock Nine.” She is referring to a group of students whose civil rights fight led to the historic desegregation of Little Rock Central High School in Arkansas in 1957. Loretta says she can’t believe that kind of discrimination still exists. When she first put on her guard’s uniform and reported to duty at Desert Vista High School in the fall of 2003, Loretta Avent didn’t even know Lone Butte existed. However, she did know that members of the American Indian community lived on reservation lands that lay within the boundaries of Desert Vista’s enrollment area. She had been longtime friends with former Tribal Governor Mary Thomas, who then was the Gila River Indian Community’s lieutenant governor. But Loretta had no knowledge of the desolate pocket of poverty among the 21 tract homes that make up Lone Butte. Nor did she know a single student who came from that community. But she did notice something unusual about the American Indian students. “At first I thought there must be a lot of Indian kids in this school, because when I’d fill in for ‘in-school suspension,’ there were always a lot of Indian kids there,” she recalls. This is where “problem” students end up to cool their heels for one infraction or another. But she started paying more attention and asked to be assigned to lunch duties so she could watch the kids outside of their classroom settings. She says she was disturbed by what she saw. She went into the office and finally asked the question that would change her life: How many kids from Lone Butte were students here? She was shocked to discover there were only nine in a school of about 3,000. That information prompted her to explore more school records, and everything she uncovered raised unsettling recurrences: Most of those nine kids were always in detention. Most of those nine kids were always being punished. Most of those kids were assigned to “special education” classes that imply they’re mentally impaired. None of the students who ever came to this school from Lone Butte had ever graduated, while most had dropped out of high school. She learned that the school bus delivered the Lone Butte kids to campus at 6 a.m. every day, meaning the students had to wake up at 4 a.m. to make the bus. The bus then departed to take them home immediately after classes, preventing them from participating in any extra-curricular activities. While on campus, the American Indian students told Loretta they felt like constant targets of both teachers and students, and Loretta saw with her own eyes that they weren’t making it up. She says she was certain that school officials simply didn’t realize what was happening. Surely they would do something once they saw that the deck was stacked against these students because of their race. After all, the principal himself was a minority and almost exactly Loretta’s age, she thought. Certainly he would be an ally. She found the perfect opportunity to get everyone together for a discussion of the problem in hopes of resolving it: She used the celebrity status of her friend Hillary Clinton to bring everyone together in early 2004. “Hillary was coming to town for a book signing and said she’d love to come hang out at the house,” Loretta says, “so I put together a little party.” Officials at the school were anxious to meet Senator Clinton and were happy to get an invitation. So was the district’s new superintendent, Shirley Miles, a black and Asian woman who had instantly befriended Loretta. 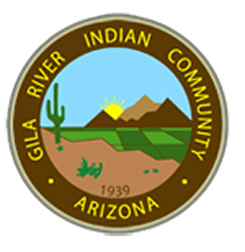 Mary Thomas from the Gila River Indian Community was attending, as were other community friends, such as business leader Jack Pfister, who headed the Salt River Project for 20 years and later became vice president of Institutional Advancement at Arizona State University until 2002. But that meeting never happened. What did happen, Loretta claims, is that McDonald started “going after” her. She felt he was trying to get her to resign and remembers warning him that he was messing with the wrong person: “You must be outside your brain,” she admits telling him. Loretta, who knows her way around federal programs and civil rights issues, began working on her own for the Lone Butte Nine. She started an effort to develop and subsidize a breakfast fund for the American Indian students because, although federal dollars were available at the school to feed poor students, this mostly well-off school had never applied for the funds. She was working on creating or beefing up student associations for minority kids, and more than once, she helped calm down ruckuses between minority kids and other students. After working on the problem on her own for a year, she tried another tactic: She invited Lone Butte students and their parents to a council meeting at Desert Vista on February 8, 2005. Some spoke of years of harassment and mistreatment. Minutes of the meeting reflect Loretta’s efforts to set up school breakfasts and her concerns about transportation problems, and she stressed the importance of all staff members helping minority students who weren’t performing well on the state-mandated AIMS test. But other district brass attended the meeting. Steve Adolph, who was then an assistant superintendent and now leads Tempe Union High School District as superintendent, says that after the meeting, he checked to see what kind of harassment or discrimination reports had been filed from Desert Vista. He found none. Former district superintendent Miles also noted in her deposition that she didn’t report any allegations of abuse, although state law demands that any incident of child abuse be reported. She said what she heard from the Lone Butte students was “heart-wrenching” and wrote that her own adopted son from the tribe had faced the same kind of discrimination. Despite that plea from a governing member, district officials did not take action. When Mary Thomas first heard about the taunting of Desert Vista’s Lone Butte children, she felt a familiar sickness in her stomach. She’s in her 60s now and has long been recognized as a leader among the Gila River people. Besides being an elected leader, she’s also close friends with Arizona’s first female governor, Rose Mofford. But the news about those children made her feel like a little girl again. She remembers being spit on and having rocks thrown at the bus that brought her and other students from the reservation to her public school. She remembers waiting and waiting for that bus to arrive. “Sometimes it was so cold by the road, we’d build a fire to stay warm, and then the kids would say we smelled like smoke and call it ‘Indian perfume,’” she recalls. She eventually left Coolidge and graduated from St. John’s Indian Mission School in 1963. She was valedictorian of her class. Thomas vowed to do something about it and, as is her way, went first to officials at the Tempe Union High School District. When she got no response from the school’s principal, she turned to the district’s superintendent, Shirley Miles, who not only came from two minority groups – black and Asian – but also was becoming a personal friend with the one woman pushing hardest for changes, Loretta. Miles had spent personal time during Thanksgiving and Christmas at Loretta’s home, and Thomas found her to be friendly. “I wanted her to call a public meeting – a ‘listening session’ – to let the children talk about what they were facing,” Thomas recalls. But when Miles didn’t call a meeting, Thomas called it herself. That meeting was set for April 26, 2005, in a room on the Gila River reservation. The audience started filling up with parents and grandparents of the American Indian students, then with concerned community members like Jack Pfister. Then the bus from the school arrived. It brought only administrators and teachers – no American Indian students. Finally, the bus returned with the American Indian students, and they started telling their stories. They told of being taunted and bullied. They told of being the first to be accused of any misbehavior. They told of being the first ones suspended or dropped from school. They told of being accused of wrongdoing when they were the ones being attacked, and that the offending white students received no punishment at all. They told of being reported as ‘loitering’ when their bus brought them to school early and they had no choice but to wait outside before school started. Several parents and grandparents spoke about how they had tried to raise these concerns but nobody would listen. One grandmother, Coreene Hart, said she sat in the school office for most of one day to discuss the problems but said she was ignored, like she was “invisible” to the staff. The first person who listened, they said, was Loretta. Loretta hadn’t been invited to the meeting (although the district would later claim in court that she had set it up) and wasn’t expected to attend. But she took a personal day off work to be there, and when Thomas called on her to speak, she got up and spoke without holding anything back. Her pleas didn’t surprise him, because as he sat in that meeting, it seemed to him the focus was not on the children at all. Loretta Avent was, according to performance evaluations administered by the district, an exemplary employee. But that’s not a surprise to anyone who’s ever worked with her. Born on April 21, 1942, she was raised by a single father in Washington, D.C., in the days of segregated schools. “We were raised to believe all children are created equal,” she stresses, and has carried that belief with her through a lifetime of civil rights work. Along the way, she’s worked with groups like the National Governor’s Association, the National Conference of Black State Legislators, the National Committee Against Discrimination, and Phoenix-based Harmony, a group that worked to get a Martin Luther King Jr. holiday in Arizona and end racial discrimination in the state. She is known to believe passionately in equality and to work tirelessly on any task. Her energy level wears most people out, and she seems to juggle so many balls at once that some admirers joke she invented the art of multi-tasking. The second evaluation is dated January 27, 2005, and this time, instead of one “x” next to each category, there are three, demonstrating the enthusiasm of this review. Hood’s written words are just as effusive as the year before: “I believe her contributions to the Desert Vista campus have been far reaching and will have a long-lasting impact. We are fortunate to have an individual with her passion and commitment, working to ensure the best possible future for all students that she encounters. Hood strongly recommended Avent’s continued employment. Principal Joe McDonald signed the evaluation. But things changed dramatically after that April 2005 “listening meeting.” On May 2, 2005, Loretta notified the district board that she feared retaliation for her activism on behalf of the Lone Butte students. On May 10, McDonald called the district’s human resources director, asking if he could “amend” his recommendation on Loretta’s contract. The director said that he could, and he also launched an “investigation” into Loretta’s activities. Loretta’s attorney doesn’t hide his disbelief at this letter, calling it “self-serving, certainly, but mostly comical.” When he deposed McDonald for the lawsuit, he asked if there were any policies or procedures that would allow a principal to redo a performance evaluation, and McDonald admitted he didn’t know of any. The timing of that letter is important. Attorney Hobson says it shows what was really going on in the saga of Loretta, as across town, the Tempe School Board was routinely going about its business. As proof, Staton stresses that Loretta has a history of disputes with the district. For instance, on March 25, 2005, she filed a discrimination complaint with the Equal Employment Opportunity Commission, alleging both her fear that McDonald was trying to force her to resign due to her age, and that he made her employment difficult since her granddaughter had been cut from the volleyball team. On May 8, 2005, she filed a third charge with the EEOC, charging that McDonald had hired an investigator to dig up dirt on her because of her activism for American Indian students. Despite all this, Staton says, the Tempe district voted to renew Loretta’s contract on May 11, 2005 – the same day McDonald was penning his letter. And then Staton points to what happened next. On May 12, 2005, Loretta began filing pleadings in justice court for injunctions against McDonald and others at the school, alleging harassment. Staton says that in order to comply with the court order, the two must not be in proximity of each other. The school told Loretta to park elsewhere and to not come to the office, among other restrictions. She says Loretta refused to follow these restrictions, didn’t show up for work, and when she was there, she followed McDonald around, threatening him. “She began acting bizarrely. She wouldn’t take direction. What do you do?” Staton asks. Staton says she knew from “the first day” her firm got this case that she would win. “The claim was so wanting it didn’t even go to a jury,” she says. On May 13, 2008, a federal court said the district had done nothing wrong. A judge ruled in favor of the district, saying Loretta had been fired because of her actions, not her activism. But Avent’s attorney sounds just as confident that the Ninth Circuit Court of Appeals will see things very differently. The appeal was filed June 10. Hobson says the May 11 contract renewal wasn’t as bold a move as district officials say it was. “It was a consent motion with hundreds of people on the list,” he says. “I think they were clueless that she was on it.” After all, Hobson adds, why would McDonald have written a letter protesting Avent’s contract renewal if he and district officials already knew her contract was on the agenda to be approved along with several others? At press time, the Ninth Circuit Court of Appeals had yet to rule on this case. Tempe Union High School officials are not anxious to talk about this case. Through attorney Staton, PHOENIX magazine requested interviews with all the officials spotlighted in this story. None wanted to talk. Lisa Blackhorse, a past president of the district’s Native American Education Parent Committee, filed her own complaint against the district with state and federal officials, accusing it of ignoring Indian parents and concerns about their children. Her complaint was filed in July 2006, more than a year after Loretta was fired. When Blackhorse spoke with PHOENIX magazine in 2008, she said none of the news from the district was encouraging. It’s amazing to watch the smile on Loretta’s face grow when she talks of her grandchildren, Brittany and Bryant. Brittany is working on a career in music; Bryant is on an athletic scholarship at a college on the East Coast. But when she talks about the Lone Butte Nine, tears start to well up. The particular children she tried to help have dropped out of school or have moved on to other schools. A couple of the students have since died in car accidents, and she grieves for them as though they were her own. She can’t mention them without crying, and she talks through a wavering voice, unabashedly wiping away the tears: “There’s nothing so important as saving a child,” she says. Besides spending a fortune on the lawsuit, she’s taken a lot of flack for her outspoken advocacy on behalf of these children. “There are a lot of people in the black community mad at me. They say I took a brother down,” she says, referring to Joe McDonald, who has since retired from the school district. She says she doesn’t see it that way. “Prejudice isn’t about color, it’s about your soul,” she insists. The Tempe school district seems to think it’s winning in court and that, eventually, Loretta will go away.